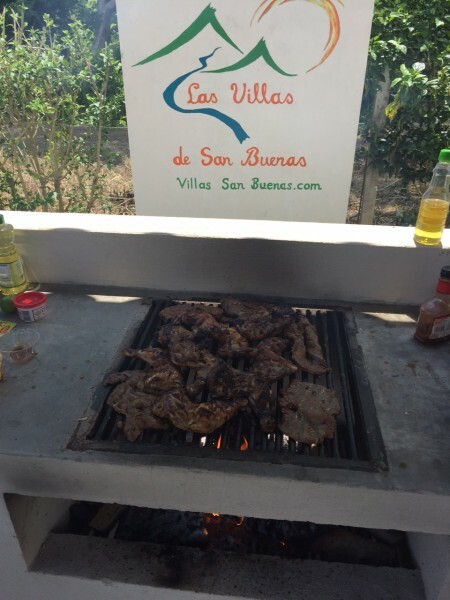 We’ve been busy the last month here in Las Villas de San Buenas. We’ve added some new roads, fixed up some of the old ones, added a few more ocean view lots (more on that later) and built a beautiful new rancho. First, a little background information. 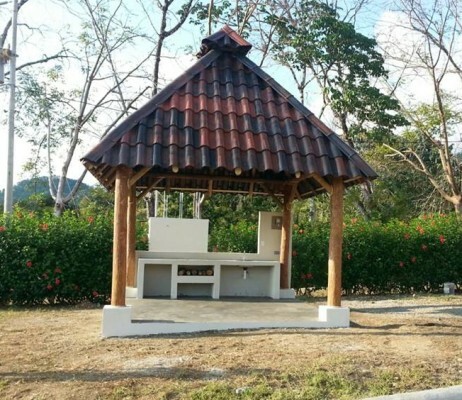 A rancho, or ranchito, is an outdoor structure used for gatherings, picnics and/or relaxing. The designs and quality vary greatly throughout Costa Rica, but the one key component of all of them is that there are no walls. This design feature ensures constant fresh air is flowing through at all times. 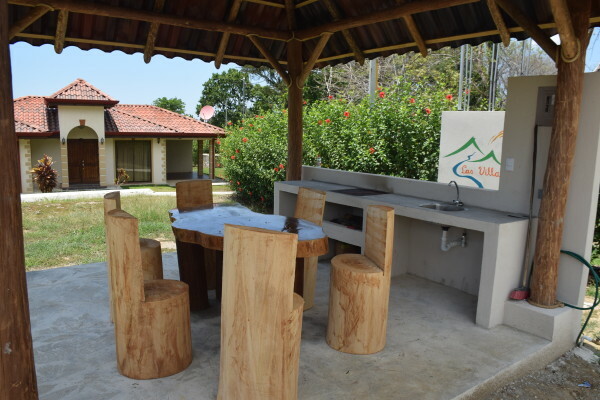 Our most recent rancho is our third one in Las Villas de San Buenas. We previously built one on a private lot and another one just past our bridge near the driving range of San Buenas Golf Resort. Rancho Herradura is the largest one yet. The dimensions are 4 meters by 4 meters (16 square meters), which equates to 172 square feet! We used the same roofing material TejaReal and added designed a vent at the top which allows all of the hot air (from the air and cooking – not the fish tales being shared!) to easily leave. 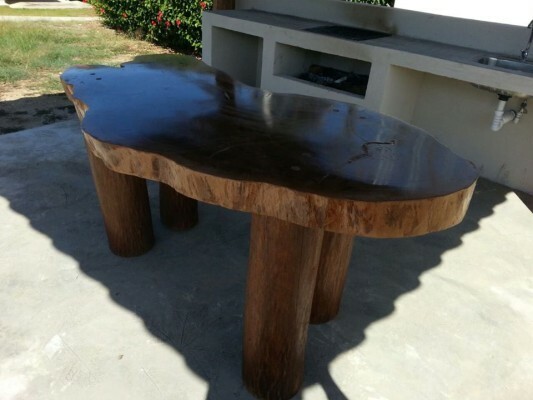 Hand made table by a local carpenter in San Buenaventura. 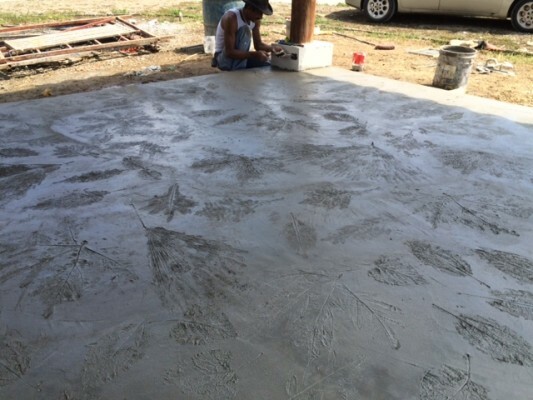 One of the design elements that our clients love is how we took leaves from native trees, all of which are found in the development, and pressed them into the floor while the cements was still wet. This left a permanent imprint on the floor. Unlike our other ranchos, Rancho Herradura has electricity with lights, allowing for all day and evening use. Additionally, there are two electrical outlets, internet service, a full grill and a sink.